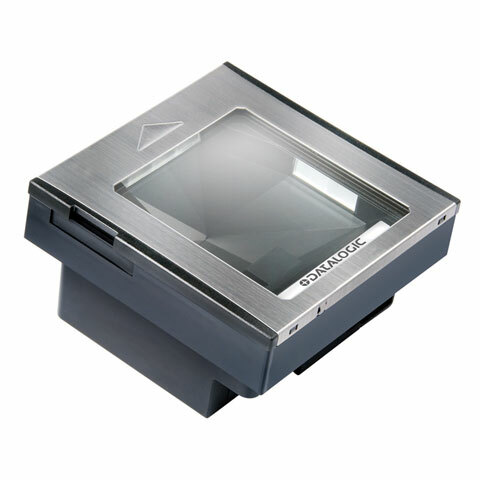 The Datalogic Magellan 3300HSi imager achieves new levels of product reliability by utilizing a solid-state design that does not require the use of laser modules or spinning motors, ensuring years of worry-free operation. Unique features include high performance imaging technology which enables the ability to read both linear and 2D barcodes as well as perform image capture duties. The Magellan 3300HSi also features multiple interfaces in every unit and an RS-232 auxiliary port for attaching a handheld scanner. A Micro-SD card reader helps with software management, upgrading, and maintenance. Because most of the Magellan 3300HSi scanner features are software based, new capabilities are simple to add, even after the initial installation, increasing the useful life of the scanner and protecting your company"s technology investment over time.